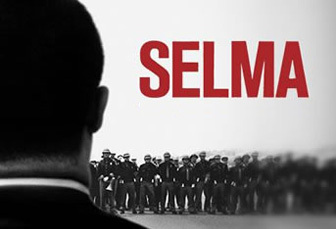 I finally got around to seeing Selma and was moved, inspired, and as baffled as anyone else by its relative snubbing by the Oscars. I’ll leave the historical, political, and cinematic commentary to others for now, as I want to focus on a little-discussed but, in my mind, absolutely essential aspect of the story: the role of the press. Selma was nothing short of a love letter to the media. In these days in which our industry is challenged and hurting, it’s worth contemplating that for a few minutes. The Martin Luther King Jr. of Selma understood the essential role that the media played in his efforts, and the potential for widespread coverage was a factor in his strategizing. He knew –when it wasn’t obvious, as it is now in retrospect—that images of peaceful, hymn-singing protestors being abused and beaten by authorities and racist civilians would inevitably sway the nation and the president in a way that violent protests couldn’t. Today, of course, dramatic video footage is neither novel nor rare. Seemingly every moment of every life is captured and potentially broadcast to billions within seconds on social media. But images, especially video, have nevertheless retained their emotional power, whether they make us laugh (cat videos! ), cry (the soldier returning home to surprise his child)—or spark outrage and protest, like the video of a Staten Island black man dying at the hands of a police officer while being arrested. And somehow, even amidst the millions of minutes of video uploaded to YouTube every day, amid all those cats and soldiers, the Eric Garners of the world still have the ability to shock and move us to action. It is a powerful, powerful medium. In my mind, that’s what makes the Brian Williams mess, paradoxically, both ridiculous and understandable. Ridiculous because it is the news itself, not the telling of it, that we crave, that sparks those emotions in us, and that moves us to action. It’s the imagery, not the narration--the facts and not the wrapping—that we remember the next day. And yes, that’s why I find Williams’ misdeeds understandable, if not forgivable: With all those millions of minutes of video per day, with every smartphone owner a potential newsgatherer and publisher, with every Twitter and Facebook stream a potential news show, those who make their living bringing you the news on television might certainly feel like they need to do more to make themselves essential and make us remember their contributions to our collective understanding of the world. But despite all the options, all the cacophony of information available today, people are watching the evening news, as a report in today’s New York Times found. There is still a place for the professionals to help sift through it all and bring it to us in informing, engaging ways. But it’s still the substance, not the sizzle that matters. Despite his powerful oratory, it was not a Martin Luther King speech that made the difference, and certainly not the personal story of the reporter on the scene, who narrated and clarified and otherwise let the news events tell their own story. It's a message that Brian Williams seems to have forgotten along the way, though he's far from alone in the business at missing that lesson. At Selma, though, that message played a crucial role in changing history.